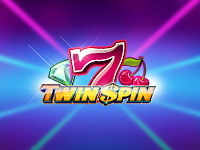 Twin Spin™ is a 5-reel video slot with 243 Ways to Win. 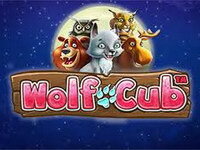 The game features Wild substitutions and a Twin Reel feature on every spin offering even more chances for big wins. 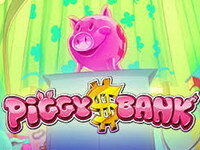 The game is played with 243 ways to win, 1-10 levels (25 coins per level) and different coin values. Winning combinations and payouts are made according to the Paytable. Each spin starts with identical adjacent twin reels that are linked together – hence the name Twin Spin™. During the spin, the twin reels can expand to become triplet, quadruplet or even quintuplet reels. The unique reel synchronizing and linking feature that appears on every single spin, and the 243 ways to win, ensure that you won’t need to travel all the way to Las Vegas to get that electrifying casino slots buzz! Let Magic Portals open the doors to a richer tomorrow. Magic Portals is a fantasy-themed online video slots that features the mythic creatures and powerful characters like wizards, dragons and elementals. It will transport you to a world of magic where nothing follows the rules you’re used to and the limit to your success is your imagination! Prepare to be amazed and astounded…a little magic goes a long way! Gather round to observe a mystifying magician perform in Street Magic, a 5-reel video slot played on 20 fixed lines. 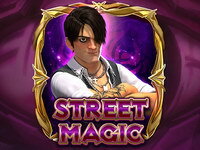 Join the Magician as he performs a trick or two to help you scoop the jackpot. 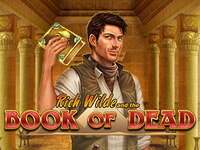 Book of Dead is a video slot that will suit the type of casino games player that places an emphasis on the base game play; however, the free spins feature is an addition that makes this suitable for players of all persuasions. 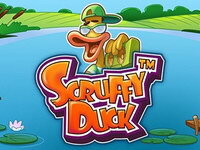 Scruffy Duck is a 5-reel, 3-row, 25- bet line video slot features stacked symbols, Wild substitutions and Free Spins. Bright colors and chill-out music are the trump cards of this game. A long forgotten tale comes back to life, with a completely fresh touch. So get ready to be swept away by a wave of fun!